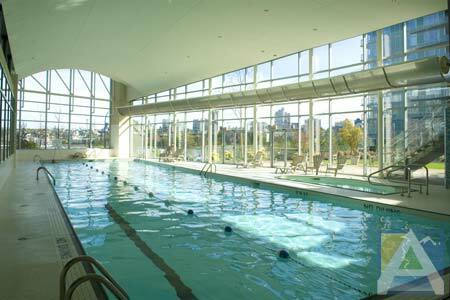 Park West One combines luxury, convenience and spectacular south and west facing views from the 21st floor, creating the ultimate in Vancouver Accommodations for both business and vacation travellers. 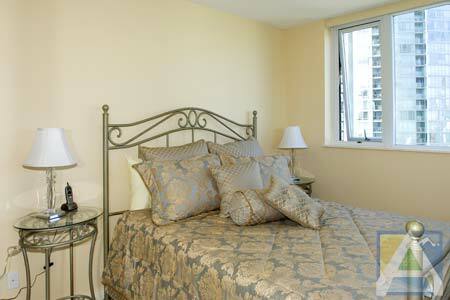 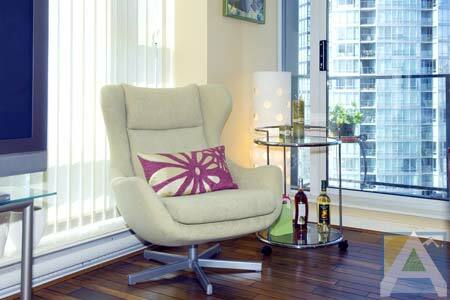 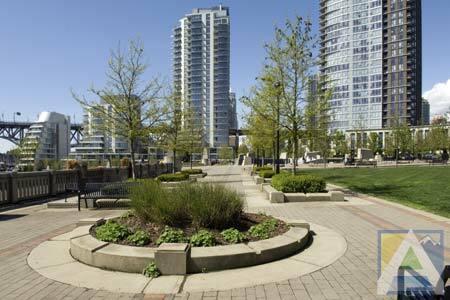 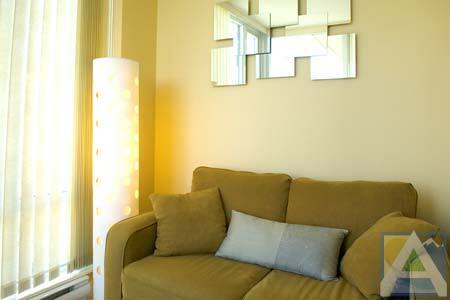 Located adjacent to Yaletown, Park West One overlooks the waters of False Creek and English Bay. 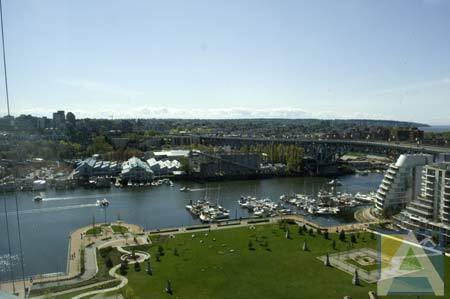 Enjoy the marina sights and the spectacular views of the Coast Mountain Range. 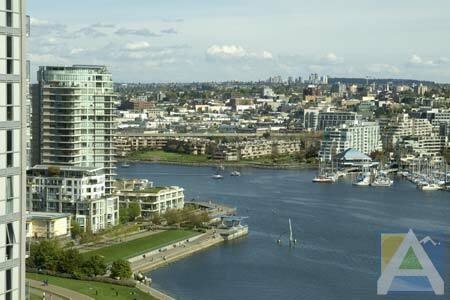 This is the unique Beach Crescent Neighborhood, home to one of the most exciting new residential communities in North America. 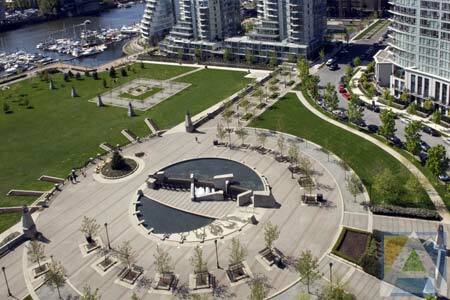 George Wainborn Park is just a few steps from the door and is a pleasing environment in which to stroll. 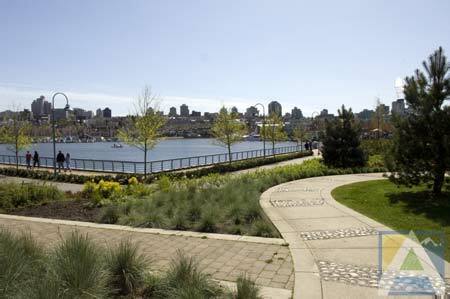 Vancouver's famous Seawall is adjacent to your condo for you to walk, run, bicycle or roller blade your way to Stanley Park, the Aquarium and as far away as English Bay. 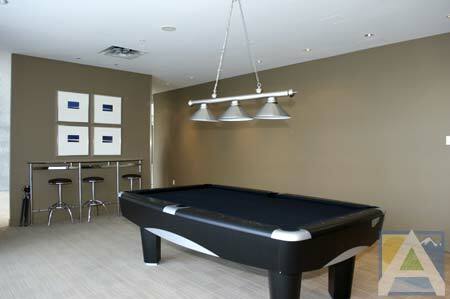 The nearby Superclub, Viva, offers resort style fitness, spa, and leisure amenities. 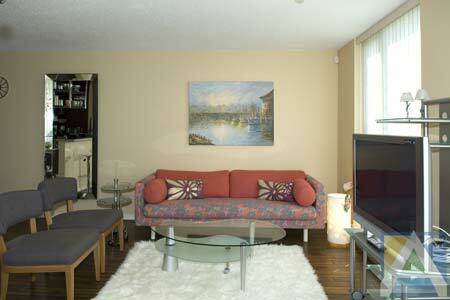 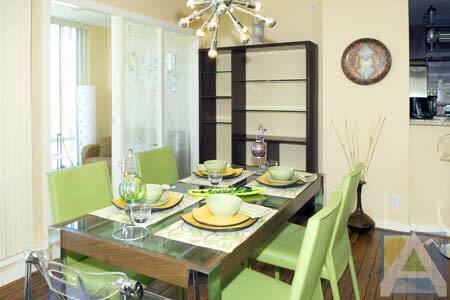 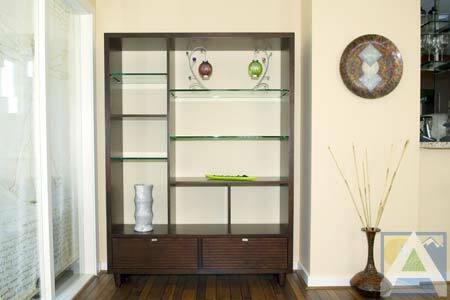 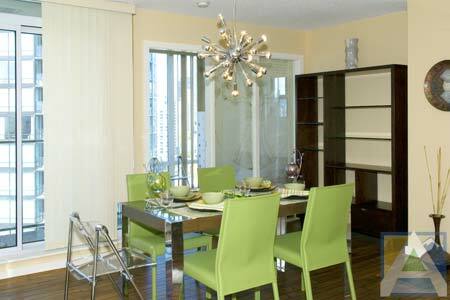 This 1100 square foot condo consists of 2 bedrooms, a den, an office and 2 full bathrooms. 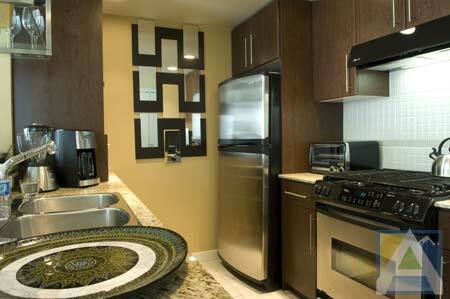 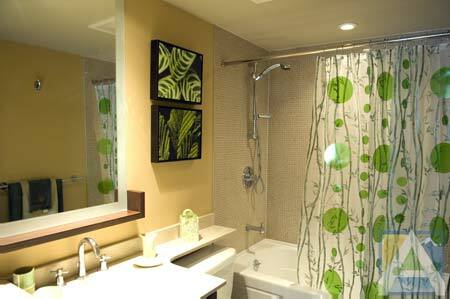 The kitchen is equipped with all the conveniences for the chef in you and state of the art stainless steal appliances. 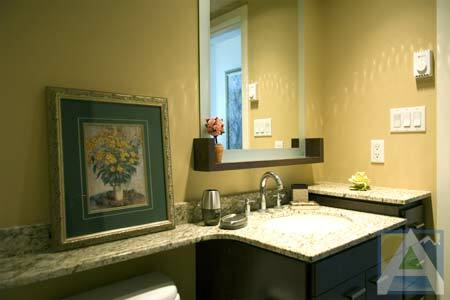 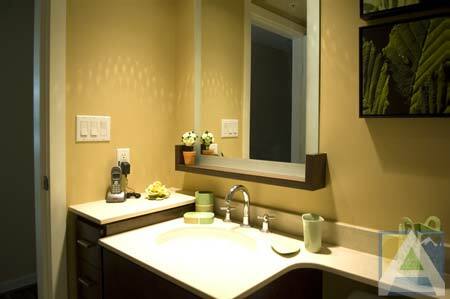 The kitchen and bathrooms both feature modern fixtures and granite countertops. 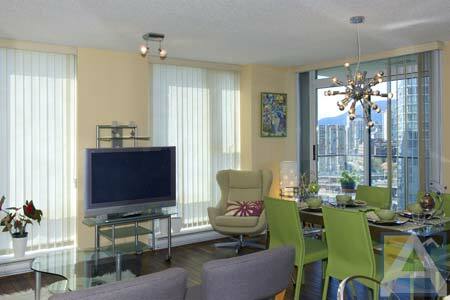 There are two plasma TVs with cable in the living area, high speed internet throughout the unit and secure private parking for your vehicle. 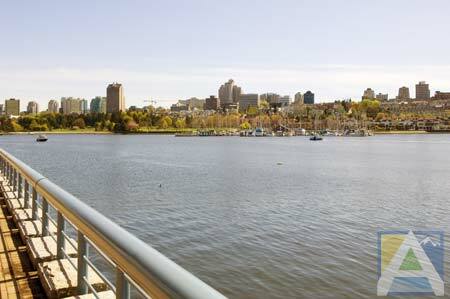 Conveniently, there is also a bicycle included for you to use while you tour around the city. 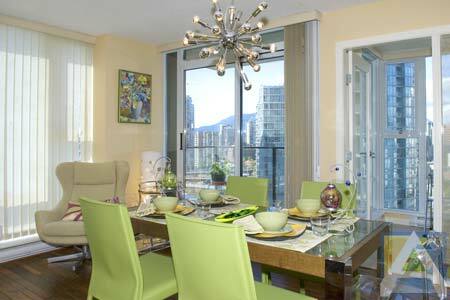 Park West One awaits you to enjoy Vancouver and all it has to offer from this comfortable condo on the edge of downtown.